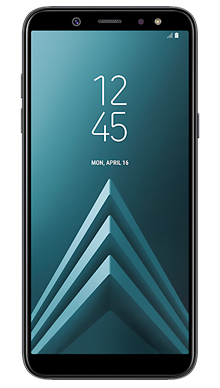 The Samsung Galaxy A6 is an excellent looking smartphone packed with loads of Samsung features and is priced to suit any budget. Released in 2018 this is a new offering that pitches perfectly in the middle of the field. You don’t get any more significant than the Samsung reputation when it comes to making the best smartphones. The company releases several handsets every year and ensures that they are well designed to offer something for everyone. 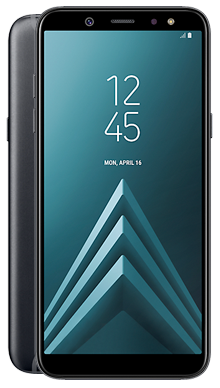 Samsung is one of the biggest names in the field, so no matter what handset you look at from these mobile phones are guaranteed to be quality through and through, and packed with some of the best technology in the industry. Regularly topping the Android charts, Samsung has a knack for being able to create exactly what their users are looking for, and demand for this handset is already high. Looks wise the Samsung Galaxy A6 is a button-free, all screen headset with just the smallest of bezels around the sides. The top and bottom bezel is slightly bigger but it does not detract from the screen, and along the top, you will find the housing for the front-facing camera. It is a typical Samsung shape, which we know works well. It is sleek and nice to hold, with a thin 7.7mm finish, making it simple to operate with one hand. In terms of finish, the Samsung Galaxy A6 has a glass front and aluminium back and sides giving it a high end feel. While the front is toughened glass the fact that the back is metal makes it a safer prospect for those prone to dropping their handsets, and with no glass on the back to break you should find it survives the odd slip, although we would still recommend a case and screen protector combination. Broken phones can be a real inconvenience so ensuring your new purchase stays in perfect condition is a sensible plan. The screen of the Samsung Galaxy A6 is a 5.6 inch Super AMOLED which ensure that you will have a great visual experience every time you use your phone. It features a screen resolution of 1480x720 and an aspect ratio of 18.5:9 which is great for streaming movies or playing the odd mobile game. Samsung has packed the handset with all the features you would expect in terms of screen experience so you will have their much reviewed Adaptive Display which corrects the colour and colour temperature to make sure that everything appears rich and true to life which is perfect when it comes to taking photos. On the back of the handset, you will find the housing for the rear facing camera and just under this the fingerprint biometric scanner which is sited perfectly for a natural grip. As with all things Samsung the audio quality for the Samsung Galaxy A6 is bang on the money. You will find that the sound is loud and clear enough for handsfree calling or listening to music in a chilled room. If you prefer to use a headset, you will be delighted to learn that this handset retains the standard 3.5mm headphone jack giving you scope to use your favourite wired cans. 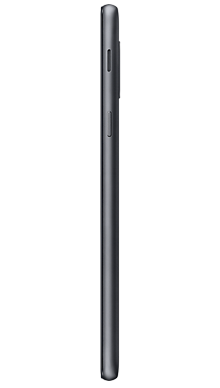 As expected with a smartphone as this level you have both the front and rear facing camera. On the back, there is a single ultrafast f/1.7 lens which packs a decent 16MP punch and is supported by the LED flash. On the front, you will find a second 16MP camera this time a f/1.9 lens which is perfect for selfies of your day. The camera performs well in low light conditions and features a range of software-assisted modes to help you get that all-important perfect shot. Under the hood, it won't come as any surprise to Samsung fans to see that the Samsung Galaxy A6 has the Exynos 7870 octa-core CPU as this is a reliable processor that packs a weighty punch. In terms of software, it comes running Android 8.0 with the usual Samsung skin over the top. There is plenty of scope for customisability, and you will find that you have a new friend in the form of the ever helpful Bixby to assist with many of life’s little queries. 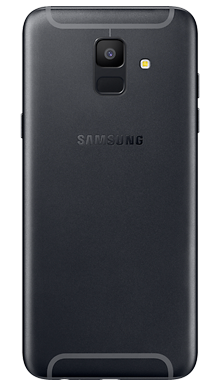 The battery in the Samsung Galaxy A6 is a good size at 3,000mAh which should see you nicely through a busy day. Utilising the Micro USB charging port you will find that you can get a full charge within a couple of hours, there is no wireless charging but with a decent speed like that there is little to worry about. Overall this is another can’t be faulted offering from the giants at Samsung. The Samsung Galaxy A6 does exactly what it needs to with no drama or fuss and has been priced to work for a wide range of users. Look and feel wise this is clearly a Galaxy offering and will comfortably take care of your mobile phone needs. 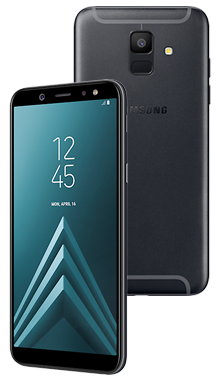 Here at Fonehouse, we are committed to getting our customers the very best deals on every single handset in our range, and the Samsung Galaxy A6 is no exception, so our team have been hard at work finding some really cracking pay monthly deals. We work exclusively with Vodafone and EE so we are confident that you will find a great deal that suits your budget with a network provider that you can really trust. Both of our awesome trusted partners work really hard to make sure that they have excellent coverage for both standard signal and 4G so your phone will be ready to use when you need it. If you have any questions about the Samsung Galaxy A6 or any of the amazing deals that we offer our customer service team are on hand to help you. Just give them a call on 0333 900 1133, and they will be delighted to help.